Formerly known as Graham Hoffart Mathiasen Architects (GHMA), this Vancouver architectural firm has been providing professional architectural services since 1963. They have built a reputation as thought leaders in 21st Century Learning Environments. For 50 years they have been designing buildings of simple elegance. In 2010, Renaissance Architects in Kelowna and GHMA merged to create Renaissance – GHM Architects. 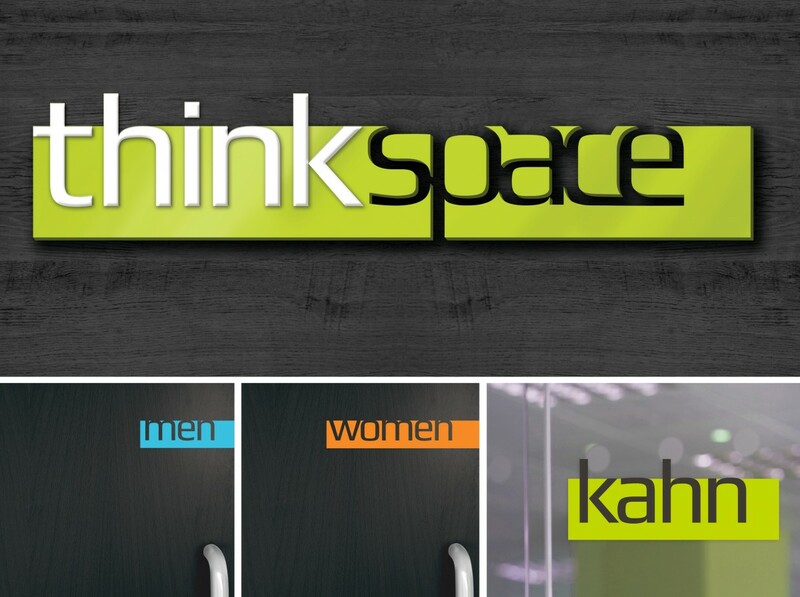 At the time of the merger, they conjoined their names and continued with each office’s brand identity. The merger provided growth opportunities, however it was recognized over time that the lengthy name, brand inconsistencies was causing confusion and affecting their success in bidding on new projects. Their overall goal was to secure a name that moved away form the traditional partner-oriented naming-structure of the industry, focused on the collective talent of their team and position the firm for growth. As well, with an upcoming change in leadership, this was an opportunity to set the firm up to for the transition and minimize client disruption. As it often does, the question of ‘the right’ name led into broader considerations regarding brand equity, market positioning, communications clarity and the vision for the firm over the next five years. It was decided that a complete rebrand was in order. A unique aspect of this project was that it provided the opportunity to close the gap between the two office cultures. Understanding that their team are their most valuable brand advocates, the partners wanted to ensure that all of their team members were invited to participate in the initial brand discovery sessions. This integration at the discovery stage provided a great opportunity to display their commitment to transitioning the focus from the partners to the combined talent of their team. By having a brand discovery process that accommodated everyone drove some fantastic insights and clarity for who they were, and how they wanted to be perceived moving forward, their unique process, and the overall value they deliver. Next, we facilitated client interviews to uncover existing client perceptions of the firm. The results drove an even a deeper sense of clarity on how to adjust and improve moving forward. Not only for the rebrand, but also in other areas of sales, marketing and service. The firm was now well equipped with a clear and concise brand definition with which to evaluate a new possible names to appropriately represent the firm. 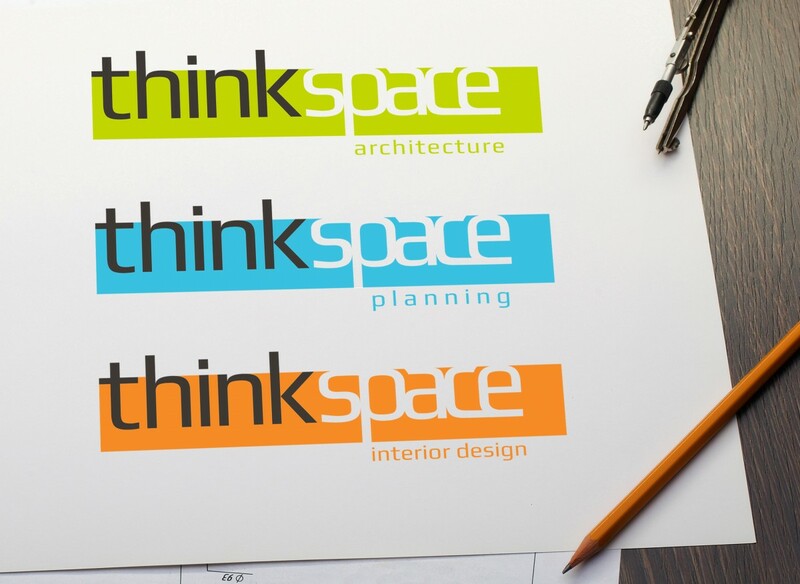 Again with staff input, a name that depicted how this talented firm utilizes story and imagination to help their clients see their new space before it is built was extensively brainstormed and strategically chosen: Thinkspace Architecture, Planning, Interior, Design. 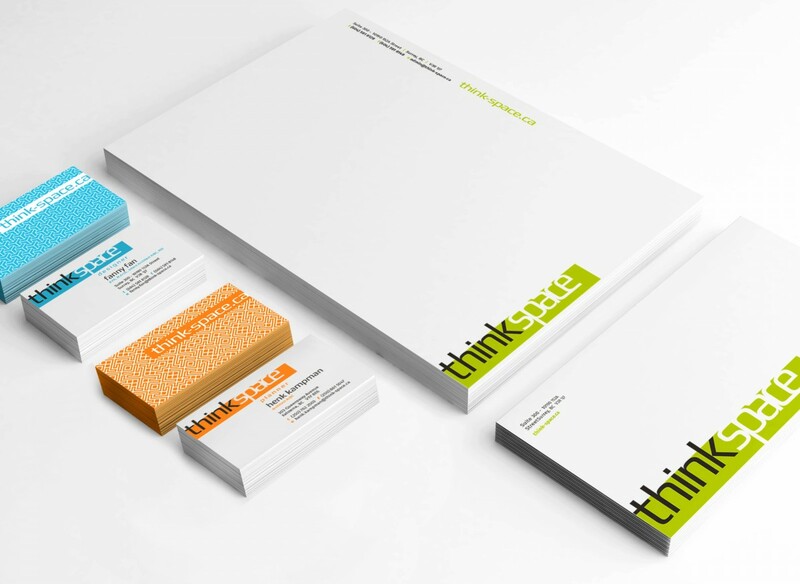 As a phase two, we were asked to develop a bold new brand identity, supporting marketing collateral and website. As well, support in the strategic rollout and launch of their new brand; the culmination being an artfully catered party hosted at both offices for staff, strategic partners and clients. From the start of this multi-layered rebranding journey, we ensured the leadership team was confident and well informed by working collaboratively and providing the tools and guidance needed to make key decisions throughout this branding process. With the launch of this dynamic new brand, the firm was set up powerfully for a leadership transition, new client acquisitions and their next 50 years. 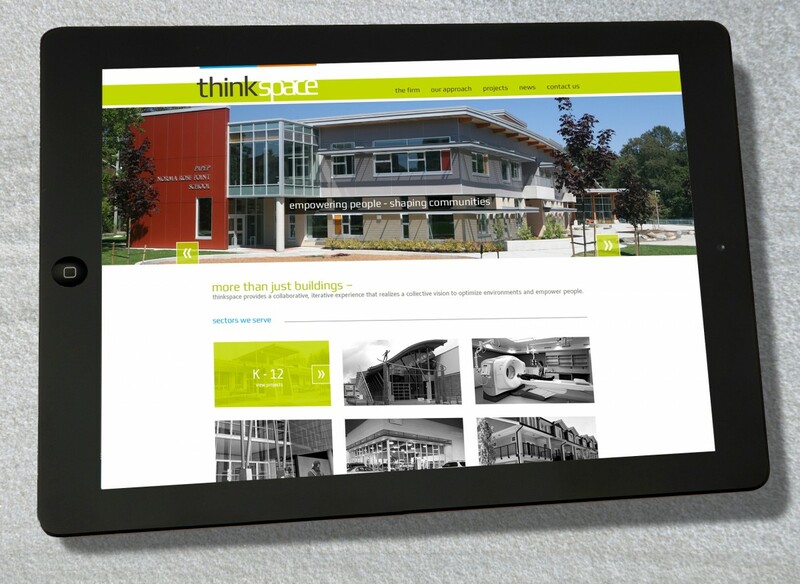 Thinkspace’s marketing and administration teams have experienced significant time savings with brand definition, guidelines and templated materials firmly in place. Which makes responding to RFPs and project bids significantly easier and more successful. Overall, the rebrand has increased everyone’s pride and confidence in the firm – both internally and externally. The firm is set up for growth and the onboarding of new partners. 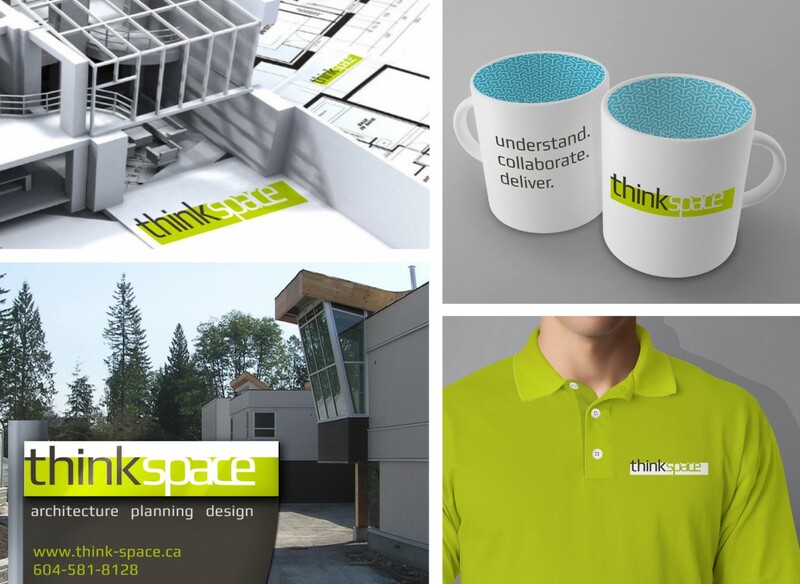 The process of collaboratively developing their new brand and focusing on their combined talents successfully supported unifying the Kelowna and Vancouver teams’ culture. [During our Brand Discovery sessions] we appreciated your openness and willingness to listen to our honest comments. Without forcing opinions or ideas, you elicited ideas from people, generated conversations and distilled things down to the essence of the idea(s).